Fully Leveraging Your Electronic Recloser’s Control Assets « Gresco Utility Supply Inc.
With new advancements in technology, it is easy to overlook the accomplishments of earlier generations. While it is true that we have better tools today, what our predecessors accomplished with what they had is, frankly, amazing. Take, for example, the traditional single-phase hydraulic recloser. Other than a coil of wire that operates as an electromagnet, these devices are purely mechanical/hydraulic, and yet provide a complex recloser coordination function. They have served as the reliable and economical backbone of distribution protection for decades, but most people would be surprised to learn they were designed by engineers using slide rules, hand drawings, and a lot of common sense. Amazing! Hot Line Tag – Hot Line Tag adds several features to the traditional Non-Reclose switch. Hot line tag blocks any CLOSE command, a TRIP is faster, and Hot Line Tag can only be reset by the location that applied Hot Line Tag (locally or via SCADA). Sequence Coordination – When coordinating multiple reclosers on a line using traditional Slow/Fast curves, it is possible to have unnecessary nuisance trips of the upline device. After the downline device has moved to slow curve operations, and when upline device is still using the fast curve, the upline device may trip unnecessarily. With sequence coordination, the upline device detects the fault current and increments to the next curve (without opening). Since the upline device is also moving to the next curve, both the downline and upstream device are using the same curve for each event. This prevents unnecessary trip operations of the upstream device. 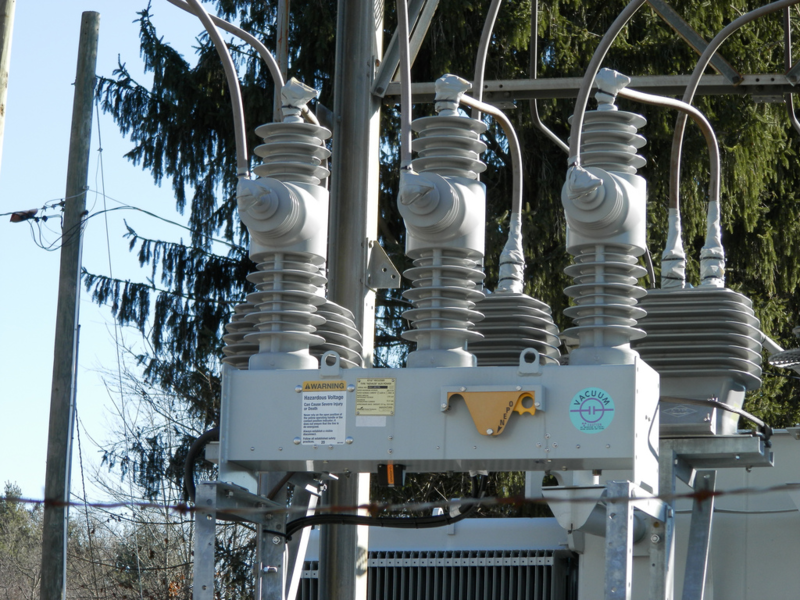 Data Collection without SCADA – Electronic controls have built-in data profilers that can collect current/voltage information over a period of several months. Maintenance Reduction – Electronic controls can record both the number of fault operations and the magnitude of each fault. This allows the control to calculate the remaining life of the associated recloser, accommodating better-informed decisions on the recloser maintenance cycle. Communications – Electronic reclosers are designed to communicate remotely via fiber or radio. SCADA allows for the remote monitoring and control of reclosers, dramatically improving response times to faults. Electronic controls also allow engineering remote access to change settings and collect data. 4G radios provide a simple, fast, and inexpensive communications link to downline devices. Switch Mode / Sectionalizer Mode – To minimize the number of customers impacted by permanent faults, we are using more reclosers to divide circuits into smaller sections. This requires coordinating more reclosers in a series. Electronic controls have the option of implementing Switch and Sectionalizer modes to help make coordination of multiple devices more reliable. Reverse Power Flow Alternate Settings – When back feeding, circuit coordination can be a challenge. A device may change from being the first device on the circuit to being the last. Electronic controls have alternate profile settings. These settings can be initiated via SCADA, locally, or automatically thru detection of power flow to automatically adjust protection settings. Fault Location – Electronic controls via SCADA can provide the fault magnitude, which, in turn, can be used to calculate fault location based on the system parameters. Warning: Almost overnight, your crews may start complaining when the fault location calculation is off by more than a few spans. Critical Loads / Automatic Source Transfer – For critical loads, two electronic controls can be configured to provide an automatic fast transfer of the source from a primary feed to a secondary feed, if the primary source is lost. The transfer time can be as low as a few cycles. If you already have the controls, the additional cost is the fiber connection between the two controls (to provide fast communications) and the changing of the control settings. Feeder Automation Software – Feeder automation software fully leverages your investment in electronic controls and communications to minimize system downtime. Feeder automation software looks at your entire system and will calculate the best configuration to minimize the number of customers impacted by outages while also accounting for real-time system loading to prevent overloading equipment.